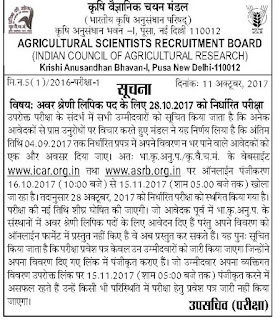 AIC India AO Admit Card 2017 - AIC Administrative Officer (Scale I) Call Letter - AIC India Administrative Officer (Scale I) Recruitment 2017- AIC India Administrative Officer (Scale I) Recruitment 2017- 18 AIC India Administrative Officer (Scale I) Admit Card 2017 Available at www.aicofindia.com. 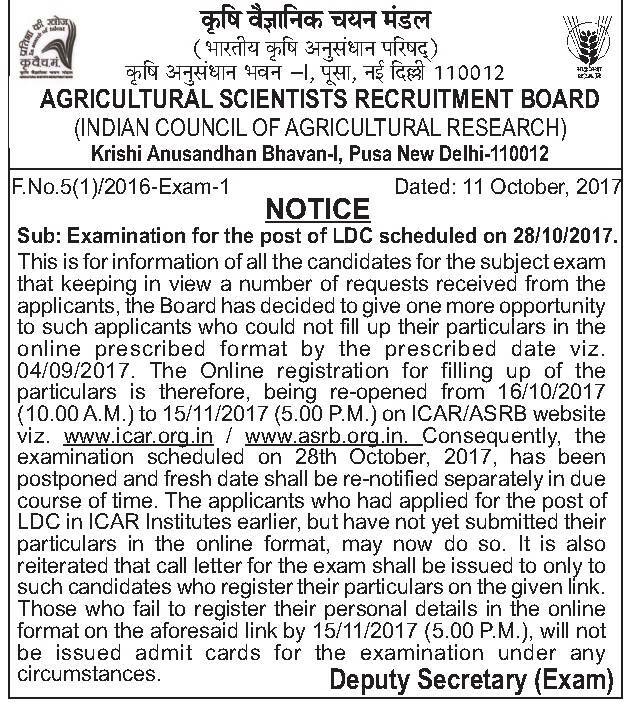 Agriculture Insurance Company of India Limited (AIC) will release online AIC AO Admit Card 2017 in the last week of October 2017 for the exam / written test to be held on 18th and 19th November 2017 at various centers for the posts of Administrative Officer (Scale I). 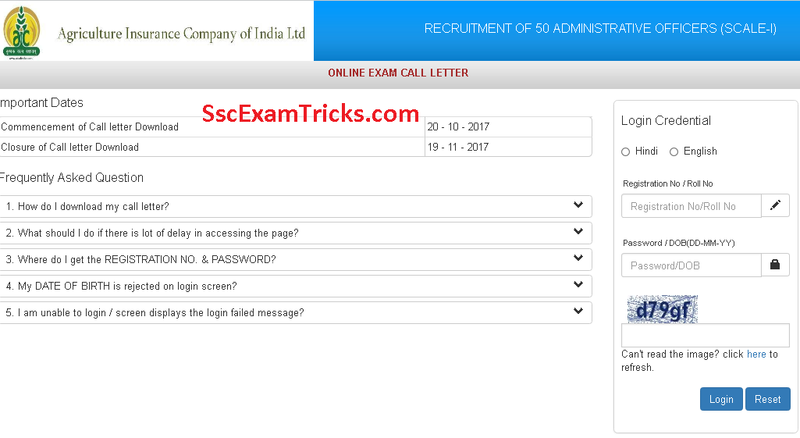 Those candidates who had applied for these posts and waiting for their AIC India Administrative Officer (Scale I) Call letter 2017; they can download it from direct link given at the end of the page. 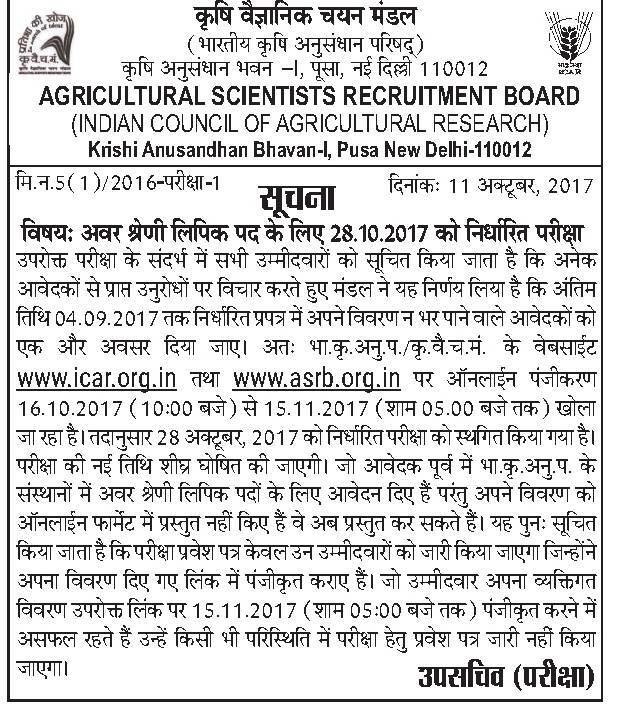 Agriculture Insurance Company of India Limited (AIC) had released notification and invited applications from 15th September to 10th October 2017 for posts of Administrative Officer (Scale I). 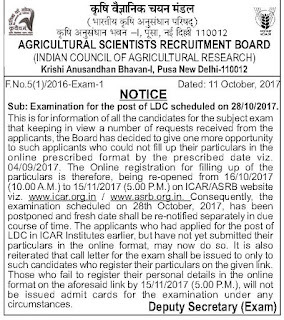 Many candidates are ready to apply for this recruitment and many others have submitted their online application forms on the official website. 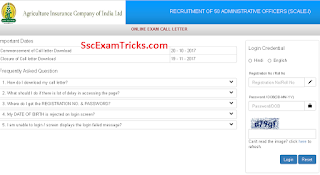 The selection process will be made through Written Test and Interview. Group B Code No. 02 - I.T. · Click on Online Registration​​ application link.